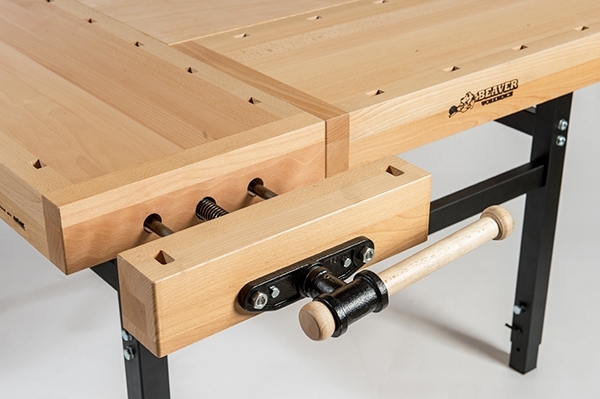 The Quad HD Beaver Workbench is designed to be used by up to four students at a time for school classrooms in need of a large capacity bench. European beech hardwood gives this bench high durability for a long service life. 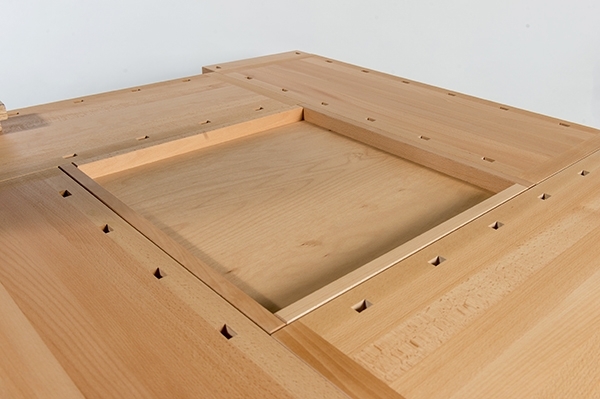 The large top is a full 1 5/8” thick, which adds to its weight and working stability. 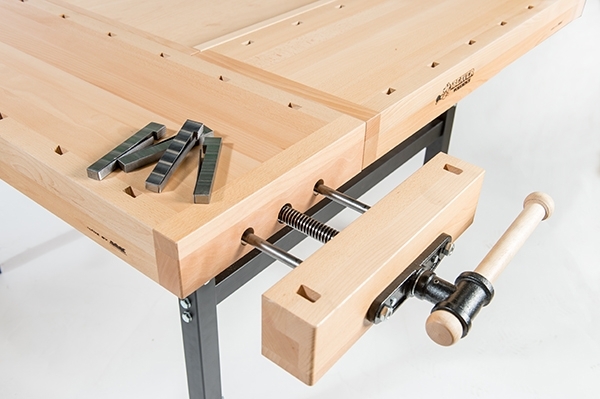 A 3.5”-thick dovetailed apron allows mounting of four cast iron Acme screw vises with dual steel support rods (included with workbench). The jaws of the vises are 15” wide and open up to 6.5” deep. 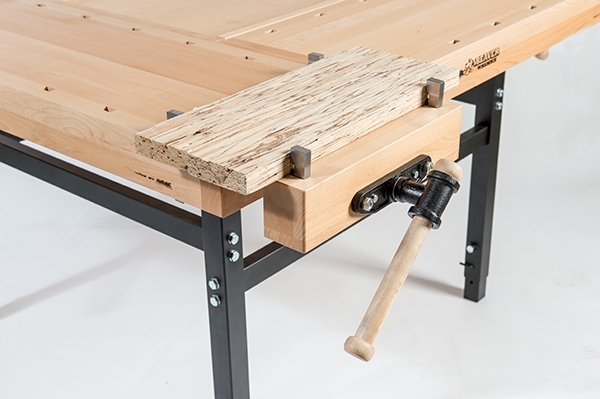 The 55” x 55” work area includes 14 rectangular bench dog holes per student (56 in total) and a 24″ square tool trough in center of the bench for holding tools. 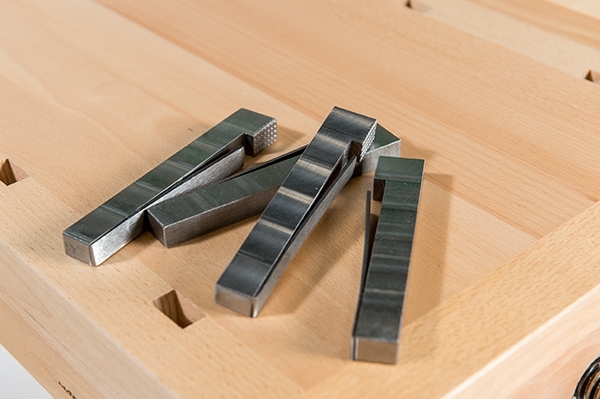 This tool trough can also be reversed in the top to give a full flush working surface across the entire bench. There are eight rectangular steel dogs included with the bench. 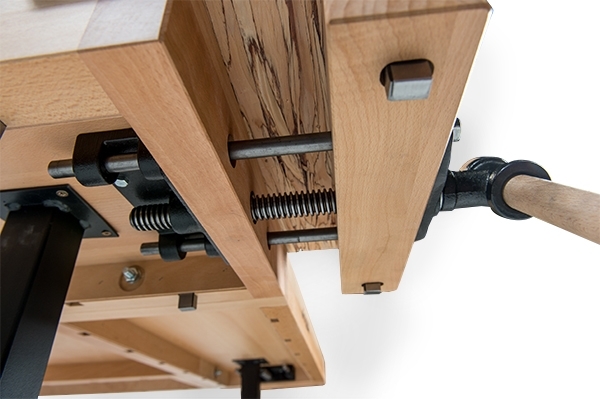 A tubular 2.75″ steel adjustable leg system allows for bench heights from 32″ to 36″. 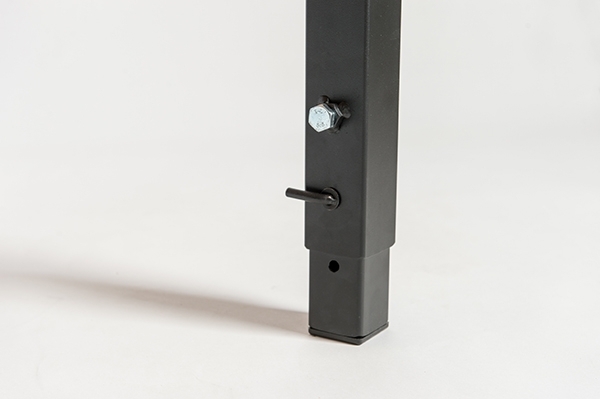 The heavy duty steel tubes are bolted together with 2.75″ cross members for stability. The vises will add an extra 12.5” to the length and width of the top in the closed position. 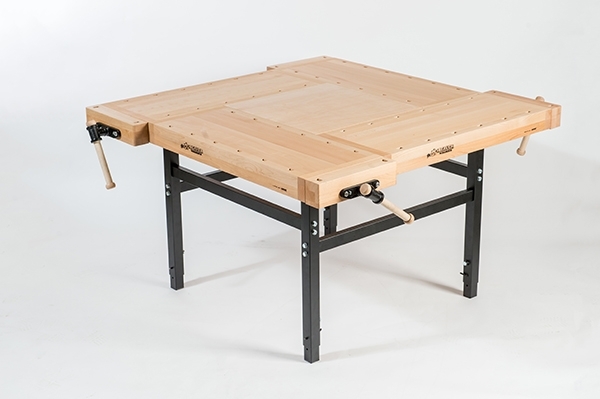 The tabletop surface is adjustable to three different heights of 32″, 34″ or 36″ and the bench itself weighs 275 lbs., including the vises. This bench is an excellent choice for the school classroom environment providing ease of student accessibility and years of prolonged use. Browse the product archive. 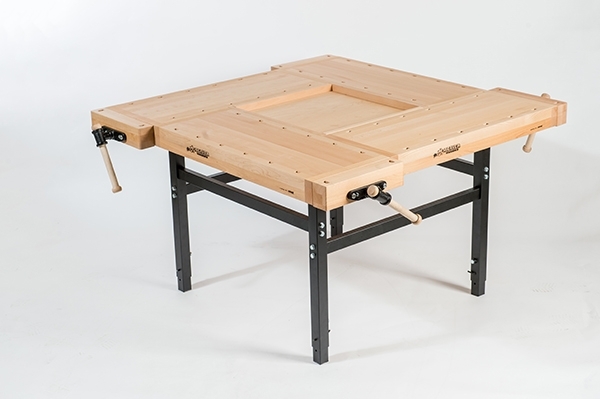 Type: Workbenches. Brand: Beaver. Bookmark the permalink.